At Cascade, we’re dedicated to making sure that our residents lead as healthy and active of a lifestyle as possible. For this reason, we have designed a special fitness program – The EverFit Club – that was specifically created with our residents in mind. The EverFit Club views good physical health as a lifelong commitment to everlasting fitness. And that’s exactly how it got its name. For some individuals, fitness has always been a part of their lives, while it simply becomes an important part of other’s lives as they deal with the stress of their aging body. The goal of The EverFit Club is to help seniors embrace an active lifestyle and, in doing so, improve and strengthen their hearts, bodies and balance. Fitness can involve a wide array of activities, from exercising in a gym or walking a mile each morning to simply working in the garden a few days a week. What matters most is that you are keeping your body active on a regular basis. The EverFit Club has been designed with a variety of different fitness programs that meet the wide range of needs for retirement living, assisted living and our memory care residents. 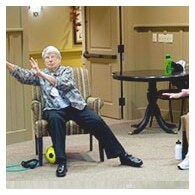 Arbor Village utilizes NuStep exercise machines, featured in the Wall Street Journal’s Neurology Report. Learn more at the NuStep Website. 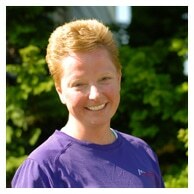 Casey Shorten is the Fitness Director for Cascade Living Group. She is also the creator of Cascade’s EverFit Club. 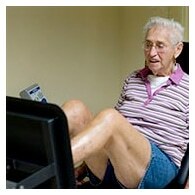 Casey has instructed indoor cycling, Tai Chi and received training through A.C.E to lead senior exercise classes. 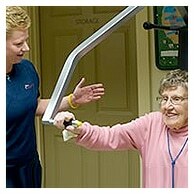 She has her Bachelor of Arts degree and has worked as a respiratory therapist in Seattle hospitals and nursing homes. In her spare time, Casey is an avid cyclist and marathoner. Casey’s desire is for all the residents and employees of Cascade Living Group communities to embrace an active lifestyle, whether it is on their own or through an EverFit class, and enjoy the benefit of better health and happier lives. The journey to fitness and better health is a choice and The EverFit Club strives to create programming that makes that choice easier for our residents.